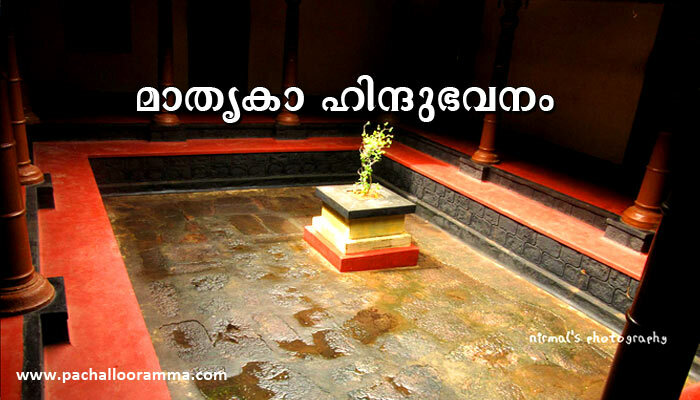 തിരുവനന്തപുരം നഗരാതിര്‍ത്തിയിലുള്ള പാച്ചല്ലൂരിലാണ്‌ പുരാതനമായ ശ്രീ ഭദ്രകാളി ക്ഷേത്രം. 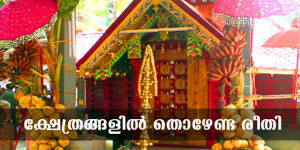 ആണ്ടുതോറും നേര്‍ച്ചതൂക്കം നടക്കുന്ന പ്രസിദ്ധമായ ക്ഷേത്രം. 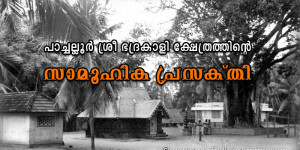 ദക്ഷിണഗയ എന്ന്‌ അറിയപ്പെടുന്ന തിരുവല്ലം പരശുരാമക്ഷേത്രത്തിന്‌ കുറച്ചു തെക്കുമാറിയാണ്‌ പാച്ചല്ലൂര്‍ പ്രദേശം. 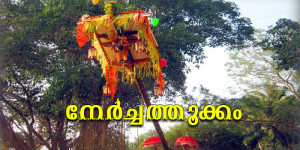 Goddess Sree Bhadrakaali, who bestows her blessings on the human race and is a guiding light, resides and presides over at the holy Pachalloor Sree Bhadrakaali Temple, which is more than six centuries old. 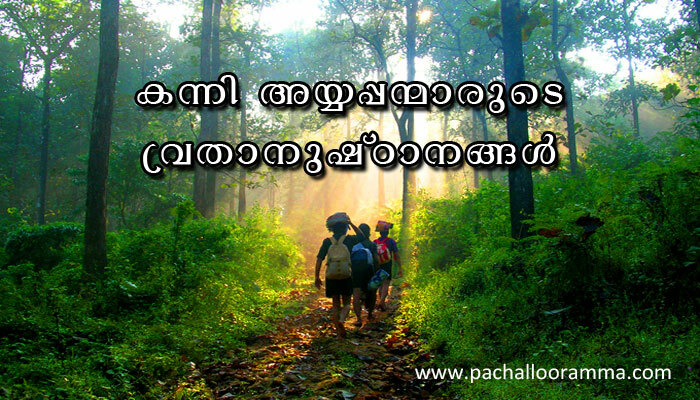 Pachallor is situated at 7 kms south of Trivandrum city. 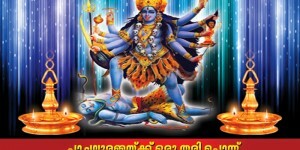 The legend has it that even after the killing of the demon king ‘Daarikan’, the anger of Goddess Bhadrakaali did not subside. 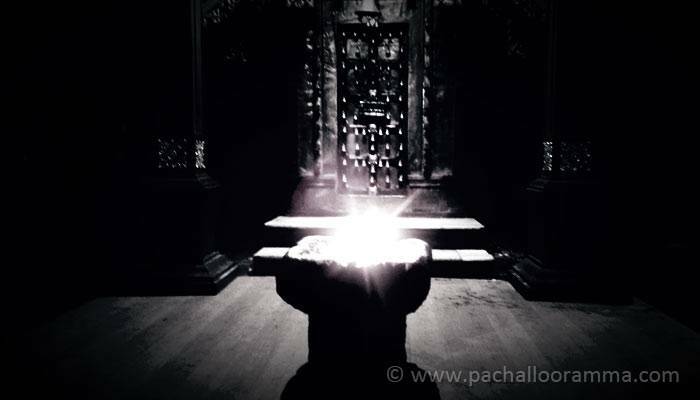 It would destroy the whole universe if it was allowed to fester. Hence the Gods got together and approached Lord Shiva, the creator of Goddess Bhadrakaali, to find a solution. 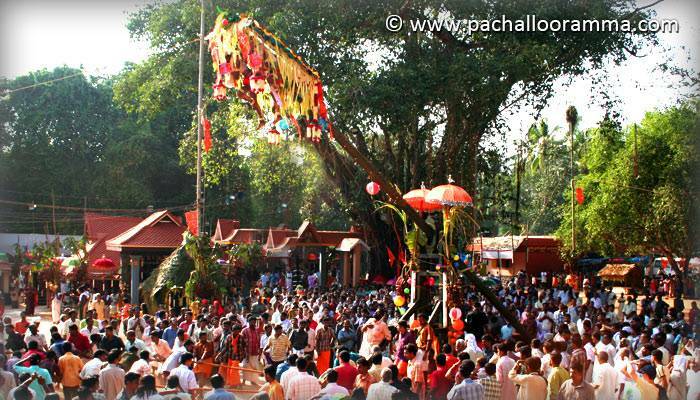 Lord Shiva lied down in the path of the furious Goddess Bhadrakaali and on seeing her creator (father), the anger of the Goddess subsided. 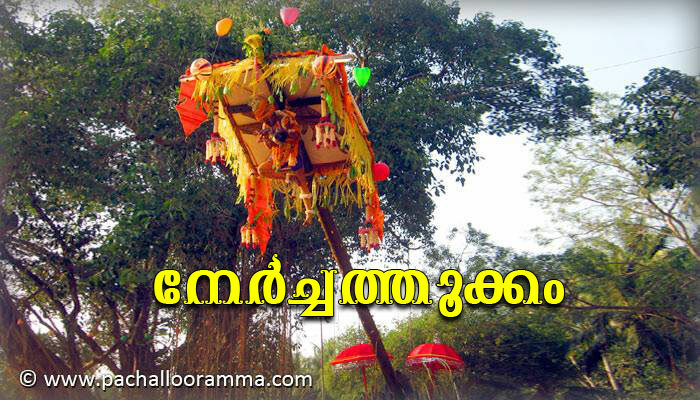 Lord Shiva blessed Bhadrakaali and requested her to give Darshan to her devotees peacefully and harmoniously. 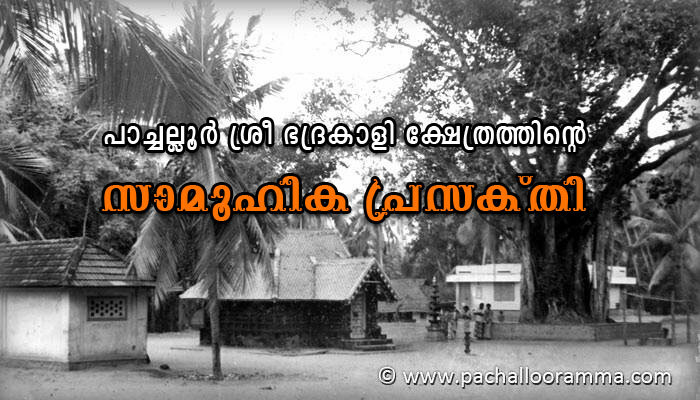 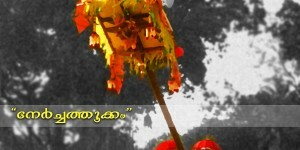 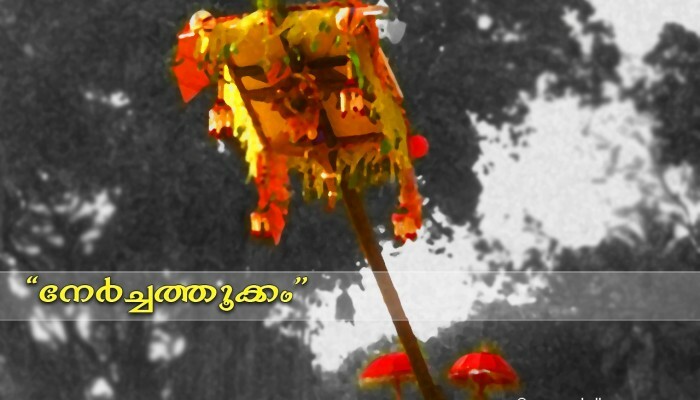 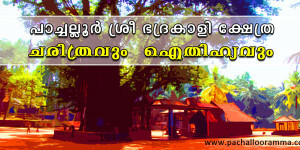 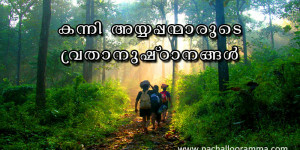 As the legend says, the name “Pachalloor” was derived from “Paka chonnayoor” through the passage of time.